There is $120 million in funding for “countering Russian propaganda” stashed somewhere in the State Department. There are “Russia experts” willing to blame Russia for everything. The two are meant to be together. The $120 million, of which Rex Tillerson’s diplomatic corps has failed to spend a cent, is funding for the Global Engagement Center – a task force originally meant to counter jihadist propaganda online. In the late days of the Obama administration, it was tasked with countering “Russian and Chinese propaganda” aimed against America’s democratic institutions. The State Department is yet to spend any of that money. For people failing to read past the New York Times headline, the failure to spend these funds would appear to be a clear indicator that Tillerson and the rest if the Trump administration have no interest in doing anything against Russia. There are memes about it, and people crying “Treason!” on Twitter. Those who do read the story will discover the small print. For instance, the Pentagon and the State Department have been wrangling for the first annual installment of $60 million for months, and have agreed on $40 million, which is not expected until April. The US military previously lead online counterpropaganda – a coordinated effort by several departments – because they also fought jihadists with more tangible means like drones. The inclusion of Russia and China put the diplomats in charge. Also, this money is just a tiny portion of what the US government spends on its own soft power, including promoting narratives that counter those favored by Moscow. The Broadcasting Board of Governors, the parent body for outlets like Radio Free Europe and Voice of America, requested over $685 million of taxpayers’ money for FY2018. The Trump administration also wants to allocate $527 million this year for the State Department’s assistance to Europe, which is meant to strengthen “European resilience to Russian meddling,” according to the NYT. This is significantly lower than the $1.3 billion last year, set aside under the Obama administration, but can hardly be considered petty cash. Still, there is that pile of anti-Russian money that the State Department has not spent, and there are always people who would offer their services in spending Uncle Sam’s millions. One former diplomat has already come up with a public offer. “Is [sic] the @StateDept wants to contract out its assignment to spend $120 million to combat Russian propaganda, I’m sure I could put together a great team! (& I speak Russian! )” tweeted Michael McFaul, the former ambassador to Russia under the Obama administration. 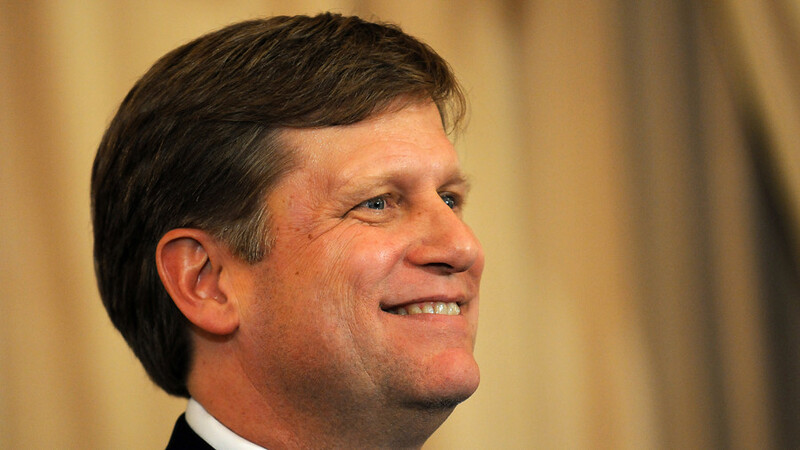 McFaul’s tenure in Moscow was somewhat awkward. He infamously invited Russian opposition leaders to the embassy in one of his first moves, more or less ensuring their reputation as American stooges in the eyes of many Russians. After returning to academia, he wrote a book on Russia, available from Amazon.com on May 8. An avid social network poster, he recently pledged to never share anything in Russian – after he showed his audience a video clip of mass protests with a caption in Russian inciting people to kill security officials. Even worse, the video was shot in Bahrain and erroneously claimed by the original poster to be from the latest mass protest in Iran. Of course, there are many other people in the West who wrote books about Russia and are willing to offer their expert opinions on why it poses such a danger to the US, and how it can be stopped. So there will be quite a competition for this $120 million stash, if State Department chooses to spend it.